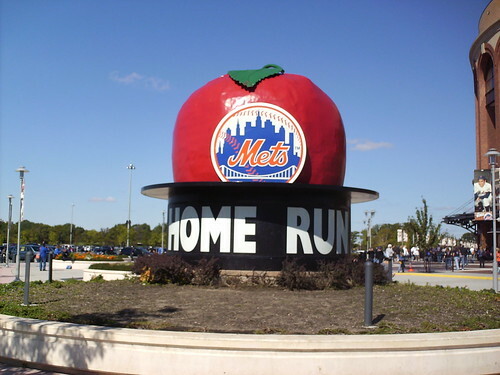 The old Big Apple from Shea Stadium, sitting outside Citi Field. 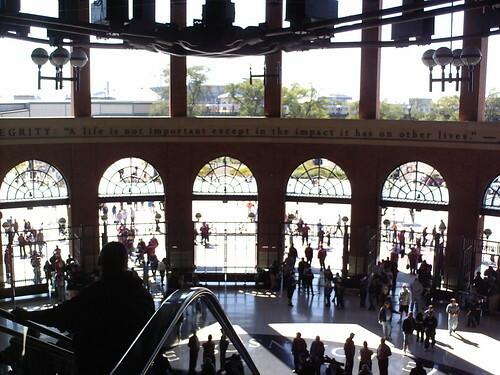 The Jackie Robinson Rotunda, as seen from the second level. Inside the rotunda. 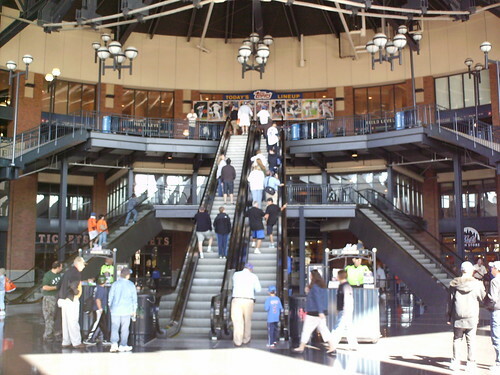 The Mets Hall of Fame is on the left, and baseball cards showing the day's lineup on the balcony. The inside of the Jackie Robinson Rotunda. 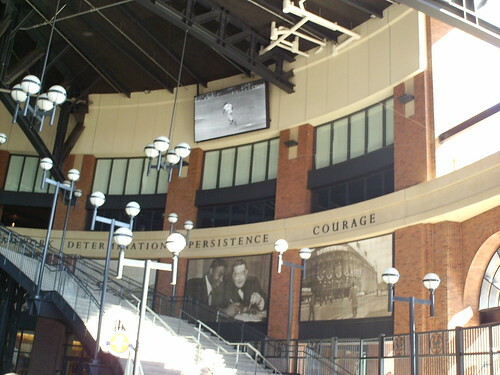 Screens show his career highlights, while his "8 Core Values" ring the pavilion. 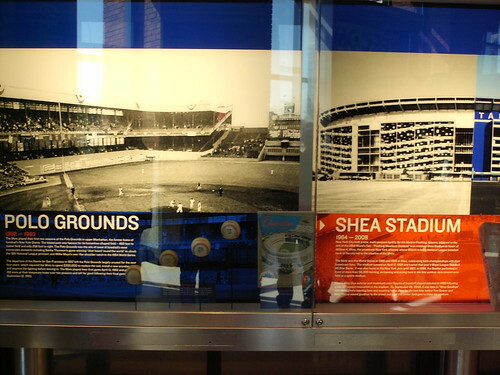 An exhibit on the Mets' former homes, the Polo Grounds and Shea Stadium, at the Mets Hall of Fame. 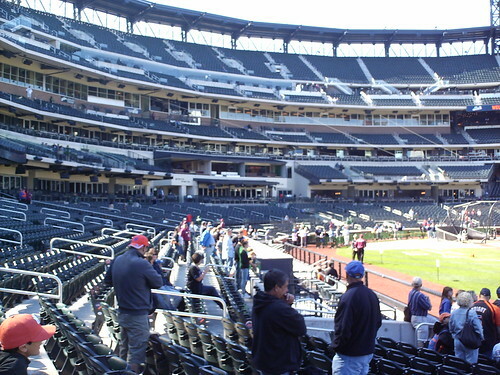 The grandstand at Citi Field. 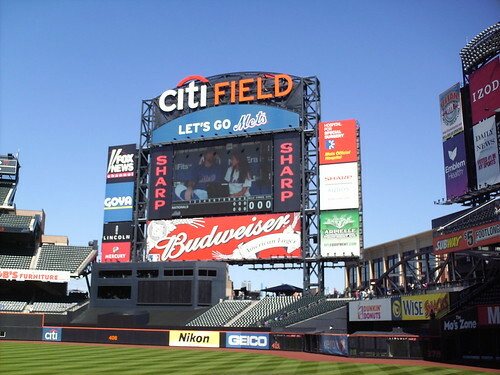 The scoreboard in center field. 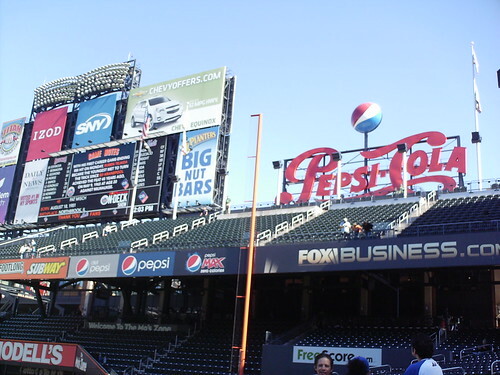 The Pepsi Porch and the secondary scoreboard in right field. 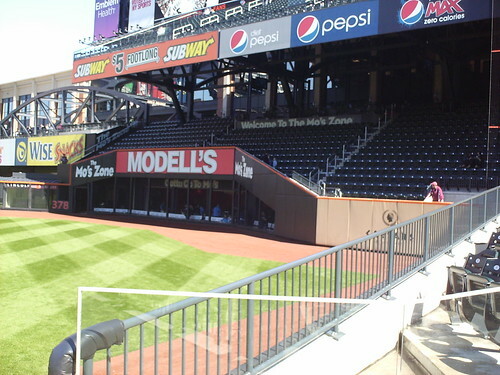 The wall in right field is recessed and a cafe behind the fence allows patrons to watch the game from ground level. 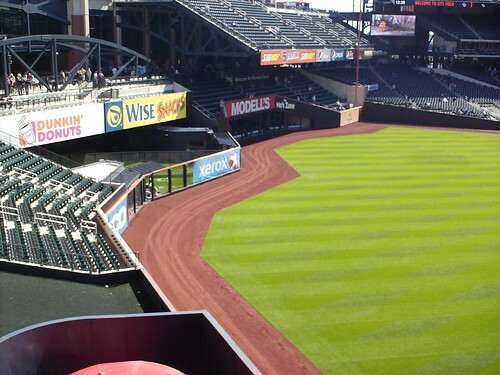 The bullpens create unique angles in right center field. 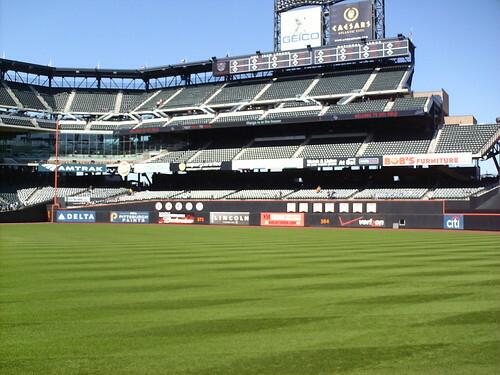 The view from the right field corner. Retired numbers on the outfield fence, and a restaurant tucked into the corner behind the park's signature orange foul poles. 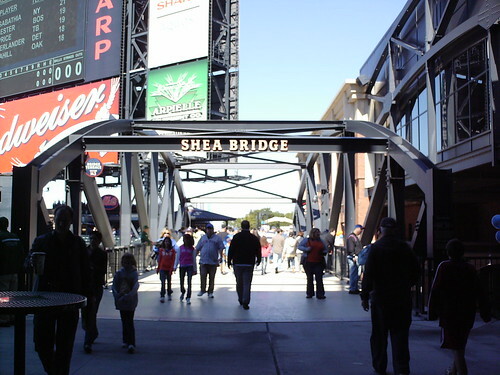 The Shea Bridge, connecting the main concourse to the food courts in center field. 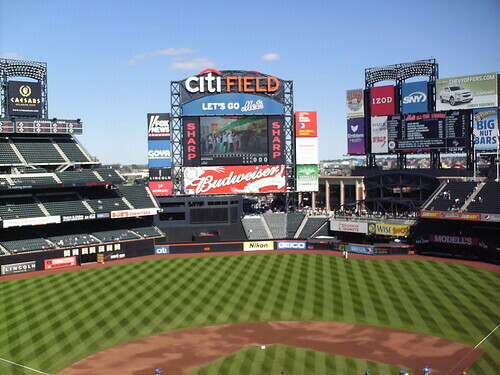 The view from the Shea Bridge, looking out over the field. 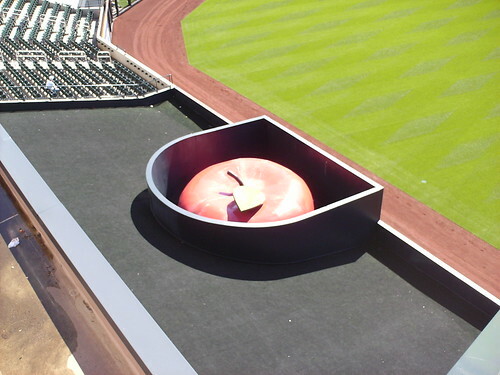 The Big Apple, recessed into the batter's eye in center field. 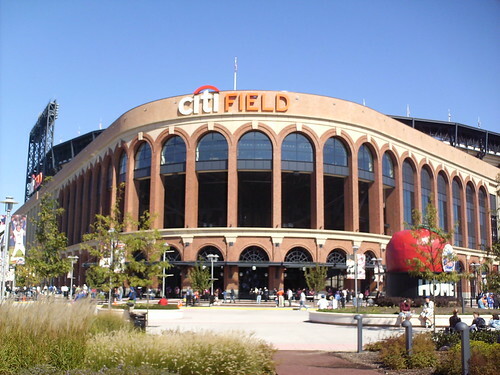 It emerges when the Mets hit a home run. 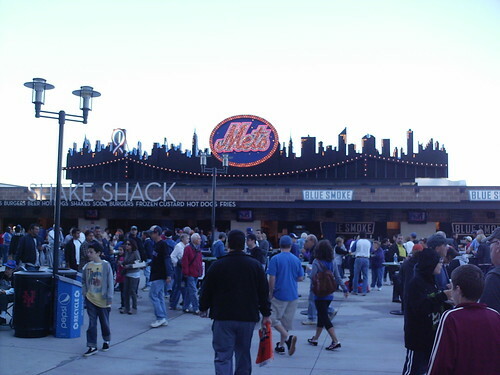 The food court at Citi Field, including the New York City skyline that formerly hung in the Shea Stadium outfield. The view from the left field corner. 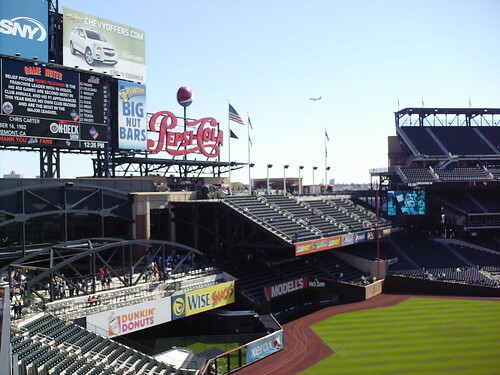 A plane flies over the Pepsi Porch, landing at nearby LaGuardia Airport. 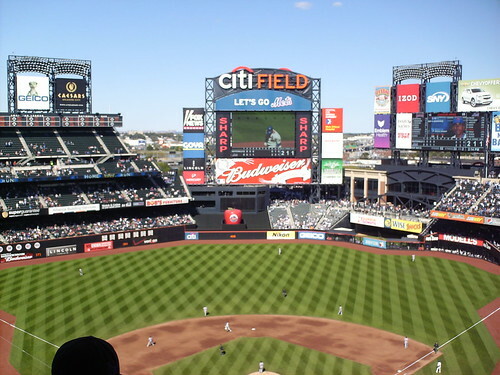 Many planes fly over the stadium during a game. 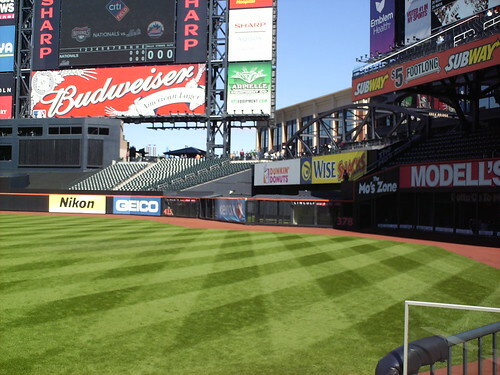 The many unique corners and angles in the Citi Field outfield. 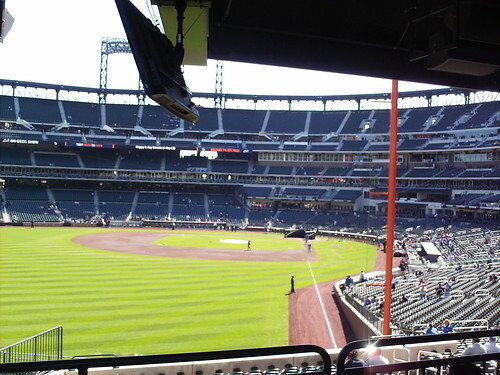 The view from the upper deck at Citi Field. 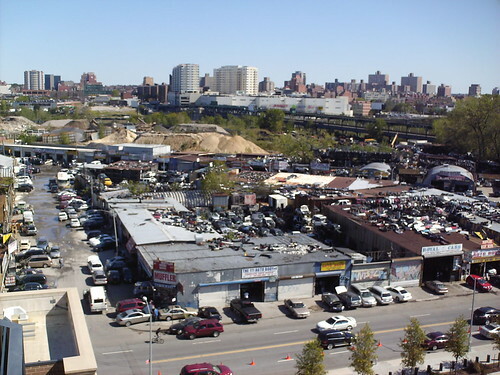 The chop shops and auto graveyards that surround the park, as seen from inside. 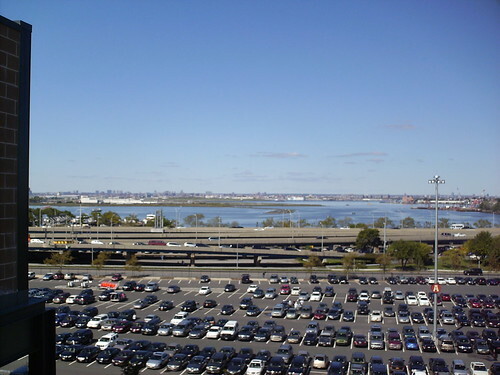 Flushing Bay, LaGuardia Airport, and New York City, as seen from inside the ballpark. 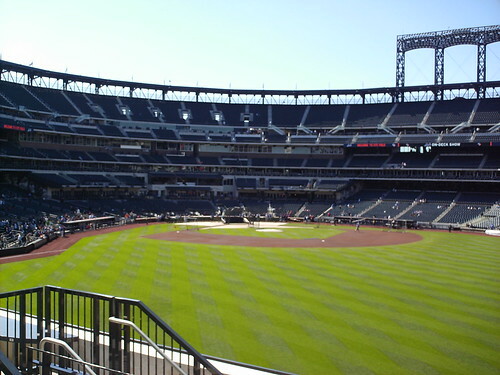 The New York Mets on the field, and the Big Apple in center field after a home run at Citi Field.